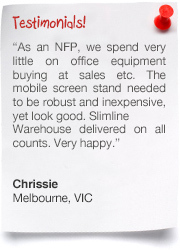 Display Products & POS Displays from Slimline Warehouse! Silver, Black & Wooden, A5, A4, A3, A2 A1, A0 & More! 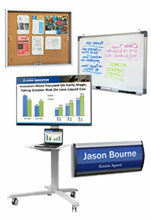 Displays for Every Business & Need! 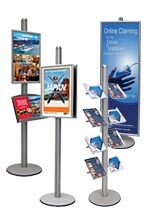 With retail, P.O.P., & portable displays for exhibition available, the different styles of display stands will help you to set your business apart. 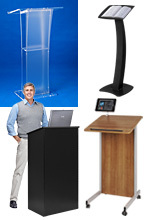 The many lectern and easel displays that we offer are large product lines that allow you to pick the proper one that will assist your company. 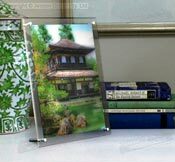 With so many different retail display mounts to choose from, creating a good store layout that will help your customers feel comfortable around your business as well as spotlight items is very easy. Our large selection is available with so many styles, finishes, & sizes in order to ensure our customers will find the best possible fit for use within their location. 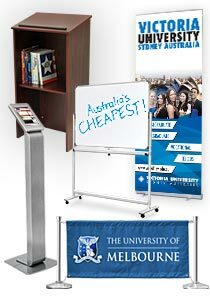 Why choose one of our display stands? We have thoroughly inspected all our available products, making sure they pass a rigouros inspection from our quality assurance team so that our customers only receive durable products that will last for years to come, a great return on investment! 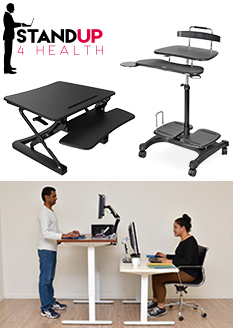 The vast array of products we offer has new items added weekly in order to help our customers stay current with the latest trends, styles, & technologies. One of the most important needs in a business is a quality way of presenting what makes your company different from the competition. 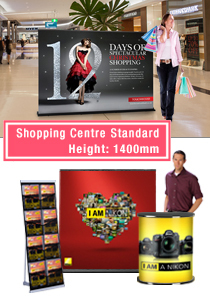 Our range of retail display products will assuredly help your business to not only promote your goods and services, but get passersby attention so that your marketing is effective. 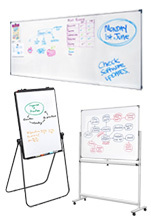 Items including many window display and white board options can be a good way to market your company to potential customers. We offer a range of styles that are suitable for different locations, that way your retail stand will fit with your decor and not be out of place. 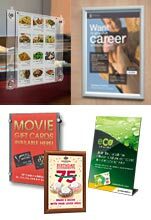 Retail stores can find many ways to promote upcoming sales and ongoing promotions using our large range of clip frames, hanging hardware, & more! 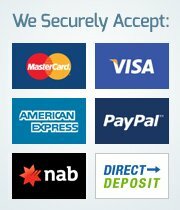 What kind of display systems are available to place within my business? 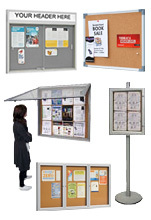 Numerous outdoor displays for helping to get attention of passersby off of the street! Of course, another important point in any purchasing decision at your business is the cost themselves. 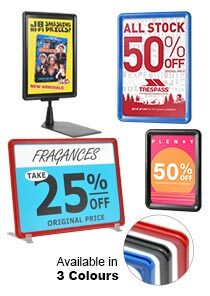 Slimline Warehouse offers some of the lowest prices on light boxes, countertop displays, portable counters, & more for you to choose from. 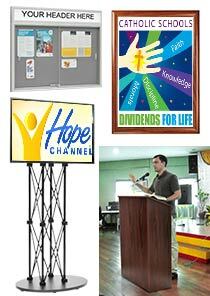 Keeping the price point down while maintaining a high quality good is one of our main goals, and we have found suppliers around the world that offer some of the best pull up banners, LED signs, portable displays, stanchions, and screw caps available, all at a low price that will last for years to come. 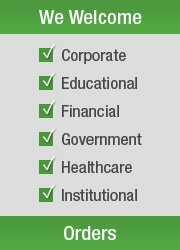 Browse through all of the different styles we have so that you can find the right kind for your business. 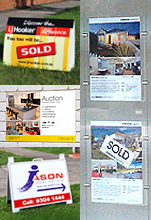 The many real estate sign and other options we currently offer help you reach out to customers for promotion without costing your business heaps of money to do so! 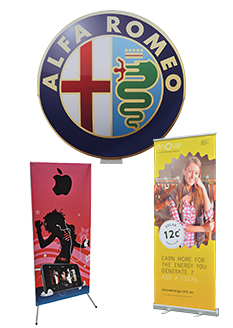 Cafes and restaurants will love our selection of cafe banners, with an array of sizes to choose from to help create an outdoor section at your business. 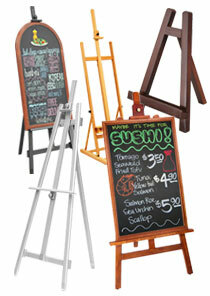 There are many printed versions that can be used to display your company logo to help draw in attention! Our expert print staff work hard to make sure your supplied graphics will work properly with your chosen display, as well as making sure the final product resemebles your designs! 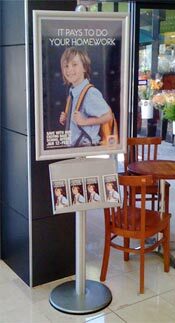 Getting potential customers attention on the streets and drawing them into your business isn't an easy task, but our line of displays will surely draw their eye to come into your location. A boards, sidewalk signs, and pavement displays in multiple sizes can be placed right on the pavement, helping to lure customers in with custom graphics, witty written messages, and more. 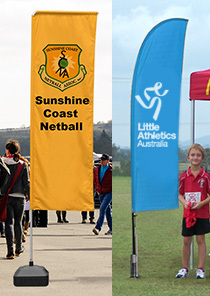 There are also many feather flags, event banners, and beach flags that be placed at outdoor festivals, outside of arcades, and in front of any street level business for a highly-visible display that also uses custom designs to help lure customers in to see what great wares are available for them to purchase. 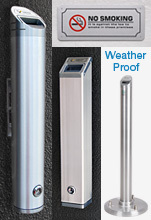 For restaurants and pubs, we have a huge array of different cigarette bins that can be used to maintain a neat and tidy area whilst helping to keep the environment free of rubbish. 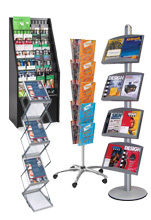 The large selection of different displays for use at retail stores helps to inform customers of information that they will need prior to make a purchasing decision. 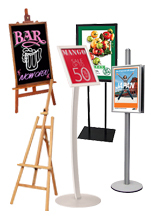 The POS signs we have on offer include different sizes and colours in order to best fit with the decors & needs of our customers. 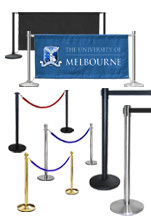 Standard sizes such as A3 (420 x 297mm), A4 (297 x 210mm), & A5 (210 x 148mm) are available to easily be seen by passersby whilst fitting into your current merchandise configuration. 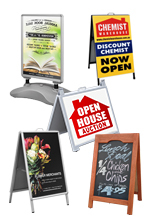 These point of sale sign displays are able to hold graphics in either portrait or landscape orientation as well, providing a versatile display that allows your marketing team to be creative when making signage with the freedom to use either format! Many of the signs include (2) lenses that allow you to protect graphics from gathering grime and dust while on display in the double-sided sign holders. 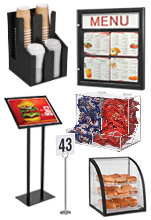 Using a dual-sided POS signage holder makes it easier to reach out to more customers at once without taking up additional space. 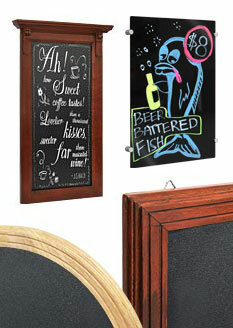 The slide-in design of these displays make switching out graphics a fast and easy process with no tools required. 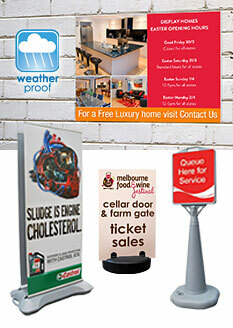 There are many styles of these signs available as well, able to be used in a variety of locations with ease. 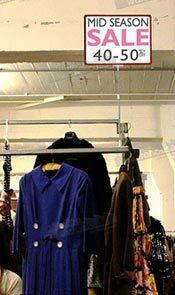 The magnetic bases easily attach to store fixtures for placement around your store to help show item prices or product specs. There are also plastic feet that allow you to easily place the signs on top of pastry case or on a counter-top to show warranty information or promote upcoming events. 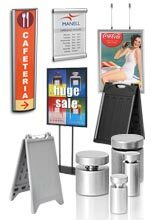 These displays are a great addition to your marketing effort, providing blue, black, and red colours that are able to fit in with your décor or easily stand-out to really draw the gaze of passersby. 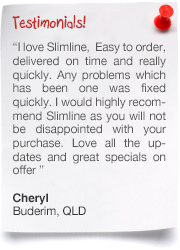 Communciating effectively with your customers will help them to feel informed and more welcome within your business! 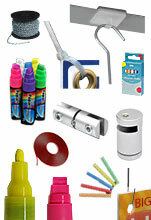 Large Selection of Items for Exhibitions & Trade Shows! Exhibition displays is one of the areas that we provide quality units for different businesses, with hundreds of different items that can be used to help reach out to potential clients and help your company be set apart from the competition. Our different portable displays are easily set up in minutes, giving your employees plenty of time to focus on other tasks to prepare for the event. 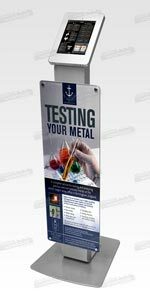 Custom printed graphics, including pull up banners, are a great way to draw customers in. 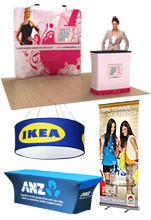 There are also full fabric pop-ups and panel displays that can have custom graphics printed on them in order to help draw attention and convey your messages in the exact manner that you want. 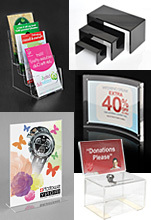 Different versions also have accessories such as brochure holders to provide additional information to customers. Many different trade show displays can be placed within your booth area in order to help your company be set apart from the competition. 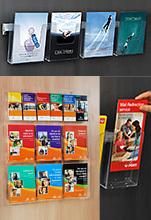 Brochure holders and pamphlet displays are available in many sizes and styles to provide visitors with additional information that they can bring away with them. 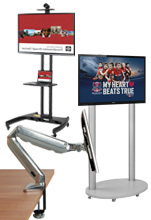 In order to stay ahead of the your competitors, we now offer many TV stands & iPad stands that help you harness the latest in technology to help provide visitors with an interactive experience. 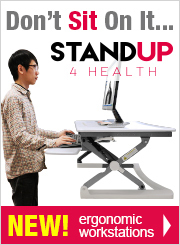 Height adjustable monitor stands allow you to position the TV for best view depending on your situation, and some stands include different accessories like shelves for holding laptops or other materials. 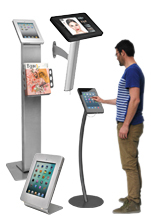 With both counter-top and floor-standing options to choose from, the iPad holders are perfect for positioning your tablet either in a showroom, exhibition hall, or around your store or office for employee and customer access. 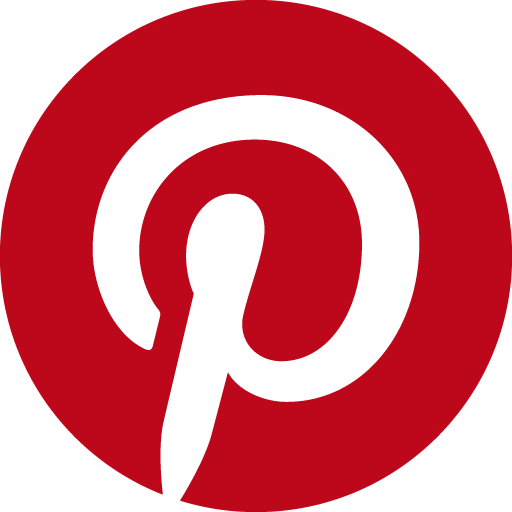 Using technology to portray your products is a surefire way to draw customers in. By providing a device that has access to the web, you can show potential clients even more information regarding your business and products! 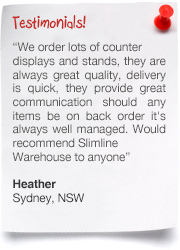 Slimline Warehouse is Australia's leading supplier of a wide range of shop displays, display stands, shop fixtures and retail signs. 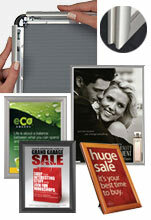 We are continually expanding our range of POS products to meet our large customer base's needs. 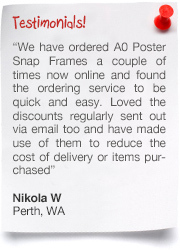 1000s of displays are in stock and ready for immediate despatch to anywhere in Australia, including Sydney, Melbourne, Brisbane, Perth and Adelaide. 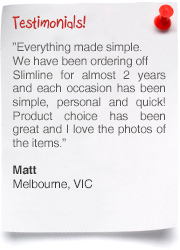 An even more important added benefit of buying from us is when you buy before 1pm AEST your order will be despatched that same day with the majority of in stock products kept in one of our self-maintained warehouses! Supplying similar product to the US market is Rich Ltd, specialising in Custom Store Display, Visual Merchandising, & POP Display. 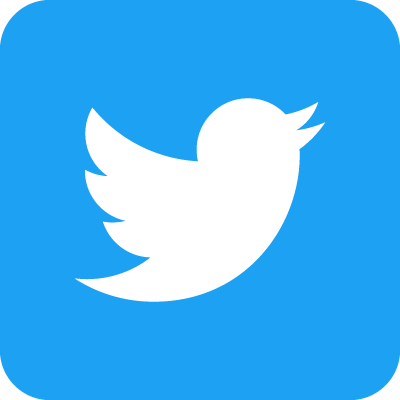 They are another member of our global network of shop display and visual merchandising suppliers, with many retail fixtures to choose from for a number of uses. 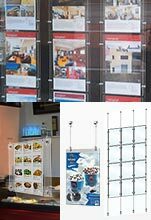 Whether you're searching for a retail light box, display stands or a display unit there are plenty of options to choose from amongst our vast selection. Be sure to check out all of our available options, including business card holders, magazine racks, lecterns, cork boards, brochure holders, and more, with the chances being Slimline Warehouse having the right product for you at a price that is sure to please. 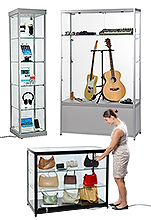 If you are searching for Retail Displays UK, you might also want to visit e-ShopFittings who have a range of retail and shop display items such as acrylic displays, barrier posts, display stands, card or ticket holders, and so many more!